In most law firms, there’s a serious supply-demand imbalance. Lawyers’ demand for marketing and sales support regularly exceeds the capacity of the marketing department to meet those needs. Many law firm marketing leaders charge up the BD-support mountain equipped with limited budget and staff but burdened with growing demands and expectations for measurable results and proven value. This can be an ugly mismatch—progressive and with costly results. There are ways, however, to bring support supply and attorney demand into alignment. The solution relies on strategic prioritization, ongoing communication with firm leadership, realistic and clear goals--and honors the basic laws of supply and demand. The framework for the solution dates to the year 1890. That’s when English economist Alfred Marshall published Principles of Economics. 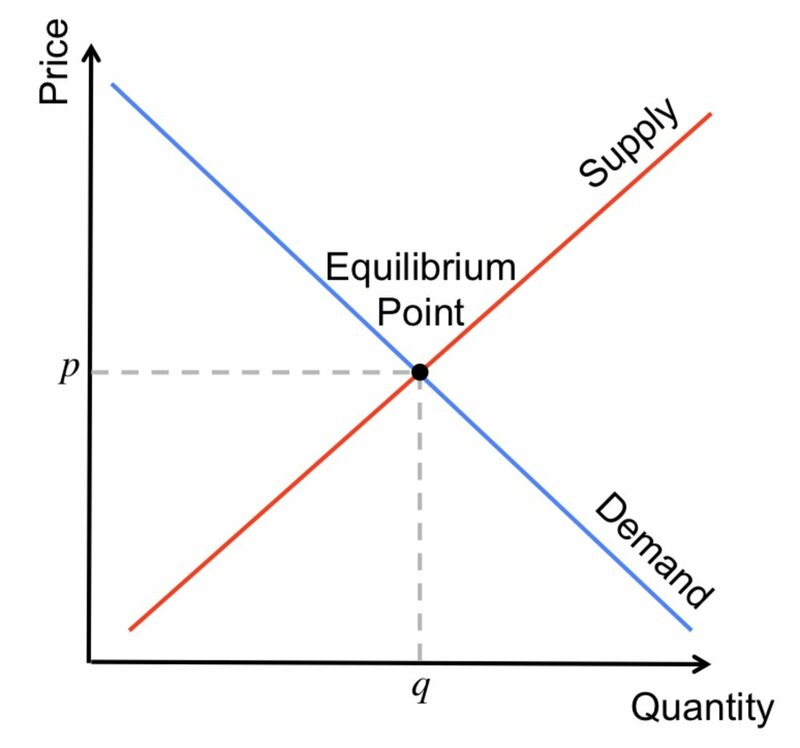 Marshall’s classic articulated the relationship between supply, demand and price. He explained that as demand increases relative to supply, price increases. Likewise, as supply decreases relative to demand, price decreases. Management committees would be wise to read—or reread—Marshall. In their zeal to control marketing department headcount and budget, some law firms ignore his principles. In doing so, they set up their departments to struggle or fail. Here’s how Marshall would likely frame the current common marketing-supply vs. lawyer-demand model. As more lawyers feel competitive market pressure, demand for marketing and sales support grows daily. For the firm’s lawyers, the personal price of these internal services is zero, which means that there are no constraints on demand. Right now, the internal marketing service providers are somehow expected to do the impossible: respond to increased demand without increasing either supply or price. Something’s got to give. Supply and demand principles dictate that the supplier—i.e., the firm’s management—must reconcile the growing demand either by (a) increasing the supply or (b) raising the price. As internal marketers, it really doesn’t matter which option management chooses. Either (a) or (b) will solve your problem. Doing nothing, however, guarantees failure. And failure will come in the form of dissatisfied lawyers and frustrated marketers, leading to burnout and high turnover among members of both groups. A law firm member’s self-interest suggests choosing something other than the do-nothing option. Having enough skin in this game means you must help management take one course or the other. Aligning the stakeholders behind a solution. What follows details how to right the imbalance and improve your success rate and your quality of life. Many managing partners have a limited understanding of marketing. If they don’t understand the function, it shouldn’t surprise you that they wouldn’t appreciate the operational realities of delivering marketing support services. for both of you to describe the problem in similar language. You literally want to create a shared awareness. OK, we now agree that we have a problem, and we’re describing it similarly. But does this problem justify a decision, investment, behavior change, and the associated risks? You’ll reach this make-or-break point only if the impact of not doing so is unacceptable. How do you show that? Use a facilitative approach that allows your managing partner to reach the same conclusions you’ve reached. Explore his or her perceptions of the operational, strategic and economic impacts of the dysfunctional situation. In other words, use the same skills and tools that qualify you as a marketer. Do the math. That makes it easy to demonstrate that the ratio of partners requesting support to marketing team members providing is seriously imbalanced. The numbers will make the fundamental need to prioritize projects and requests obvious to your managing partner. She’ll be better able to see and to ensure that the right things are getting done without over-committing the firm’s marketing resources. Rational, objective “proof” will also make it easier for your leader to provide sustained support for change, with visible, consistent leadership. This stakeholder alignment, however, must precede any discussion about solution options. Until leaders agree that they must act, trying to decide “How we might act if we were to decide to act” is unproductive speculation. It’s not only a waste of time, but it actually impedes decision-making. Before stakeholder alignment occurs, all options are interesting enough to examine, and lawyers enjoy arguing the relative merits ad infinitum. After they decide “We must act,” however, you’re now examining solution options through the “reality lens.” Reality means spending real money or telling real lawyers that their unlimited demands will be curtailed—that fewer of their demands make sense and will be supported. This dose of reality will shrink the number of solutions worth evaluating. Decrease “demand.” Lay out how, by raising the “price” in the form of objective standards, the firm can create barriers to frivolous or ill-considered support requests. Increase the “supply.” Do this by making a business case for additional headcount. Describe specifically how a particular new hire will increase capacity, and how that will benefit the lawyers. My advice: Encourage demand reduction rather than supply increase. Once they’ve approved that expense, they’ll feel no need whatsoever to manage demand. You’ll never be able to increase the supply enough to solve the problem, and trying to will increase your need to recruit, hire, and manage a larger team. Such objective criteria ensures that the resources are being strategically and appropriately deployed. Firm leadership should support any defined framework that improves the department’s ability to serve lawyers whose marketing efforts are in line with the firm’s mission. It’s time to sell the choices to the firm’s “public.” Once firm leadership and you are in alignment about how you’ll proceed, ask that management communicate the new standards to the lawyers. The expectation will be that the lawyers self-select against objective criteria when they bring a marketing project to the table. They’ll learn to plan ahead and be strategic in their approach. Anything else is a waste of everybody’s time and money. To alleviate pressure on the marketing department, it’s be critical that firm management forcefully champion these resource-allocation standards. Such support for a proactive, well-communicated process, visibly supported by firm leadership, will bring about the balance you strive for in a law firm marketing department. Remember to be patient. Time is a critical element for the process to evolve. It’ll be the key to success and will ultimately create more harmony between the marketing team (the vendor) and the lawyers (the clients). Finally, what’s in this for you? The need for patience notwithstanding, marketing and BD leaders should take a proactive approach. Engage firm leadership and set a plan in action—immediately. Why? Because you’ll position your department as an executive resource, increase your credibility and begin to see measurable results that reinforce your department’s place in your firm. You’ll also have objective standards against which to measure your contribution and demonstrate its business value. That gives you a much stronger case in the year-end bonus conversation. And, who knows, you could end up enjoying this redefined job. Mike O'Horo is a serial innovator in the law business. His current venture, Dezurve, eliminates BD training budget waste by identifying which lawyers are your best bets for BD coaching investment, and which aren’t. Previously, he created RainmakerVT, the world's first interactive online rainmaking training for lawyers, by which lawyers learn how to attract the right kind of clients without leaving their desks.